Cynthcart is a cartridge for the Commodore 64/128 that turns the computer into a standalone analog synthesizer. 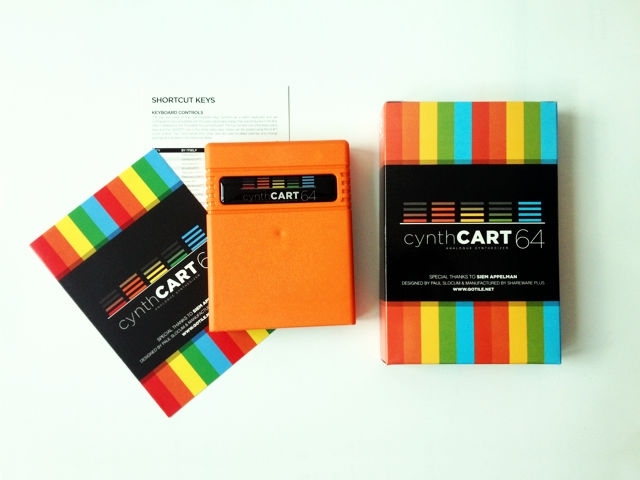 Cynthcart's key-command user interface allows it to be played and controlled without a monitor, making it especially suitable for live performance. The original Commodore 64 piano keyboard overlay can be used, and Datel, Passport, Sequential, and Kerberos MIDI interface cartridges are now supported. All cynthCARTs that you order through Protovision are orange.